Brides for a Cause is the beneficiary of The Bridal Ball! 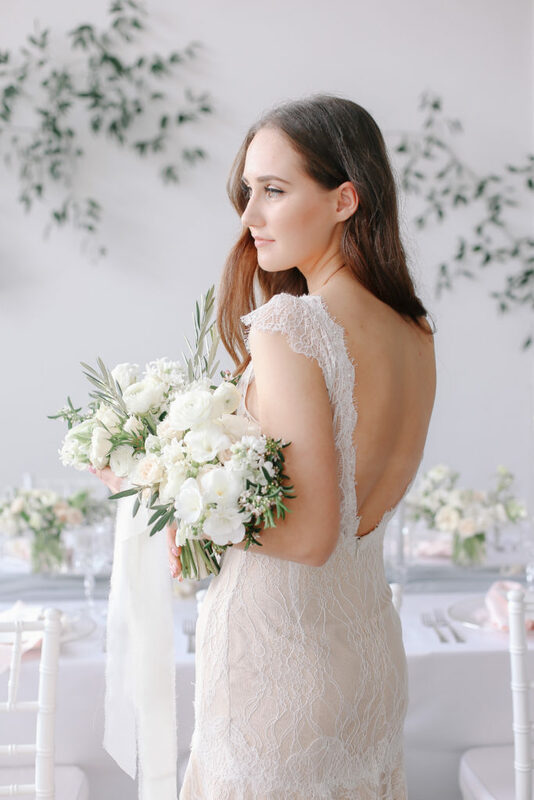 Wear your wedding dress one last time – and consider donating it to us afterwards! 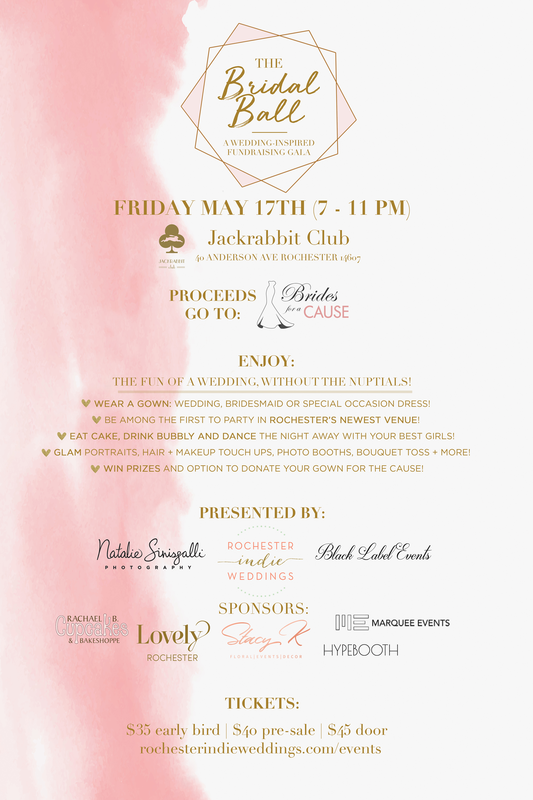 Join us for a wedding reception without the nuptials where you can dance all night with your best gals, win some prizes and scope out Rochester’s hottest new venue all while supporting future brides in need! 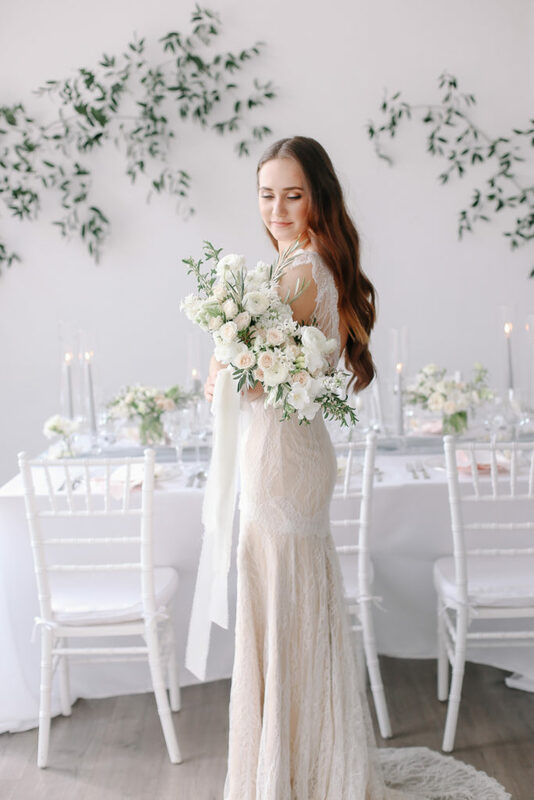 Get all dolled up like it’s your big day in your wedding gown, bridesmaids dress or special occasion dress and party like it’s your wedding! You don’t need to be already married to come – just wear a fancy party dress! After the event, you’ll be able to donate or preserve your wedding gown! There will be donation forms and tax receipts at the event. Dress donations are tax-deductible. Ticket includes admission and food. Cash bar and raffle tickets available. All are welcome! 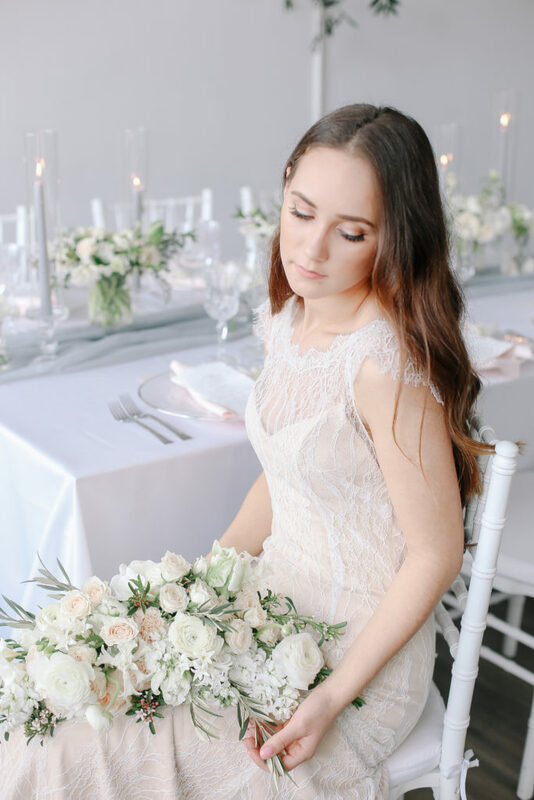 Event hosted by Rochester Indie Weddings, Natalie Sinisgalli Photography and Black Label Events. Sponsors include: Stacy K, Special Occasion Hair Design, Hype Booth, Marquee Events, and Lovely Bride Rochester. 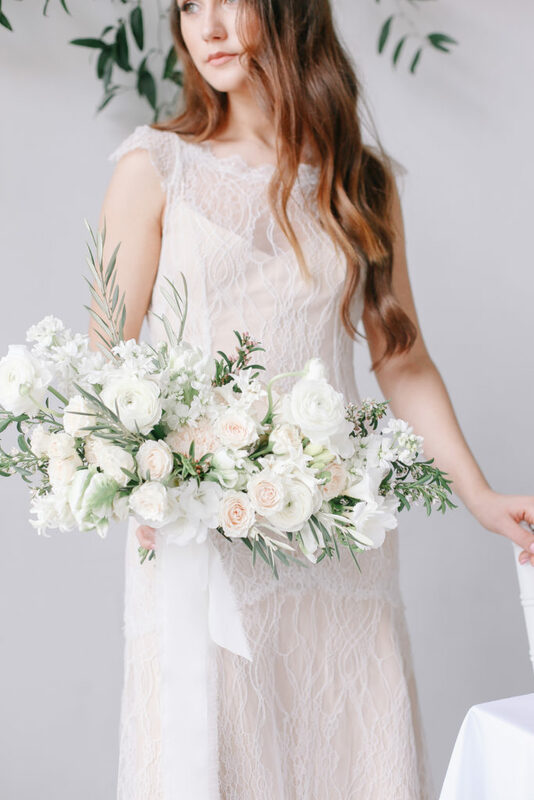 Brides for a Cause teams up with Brides Across America every July and November to offer FREE wedding dresses to local military brides and first responders during their annual “Operation Wedding Gown” events, which are held at over 60 bridal salons around the country! 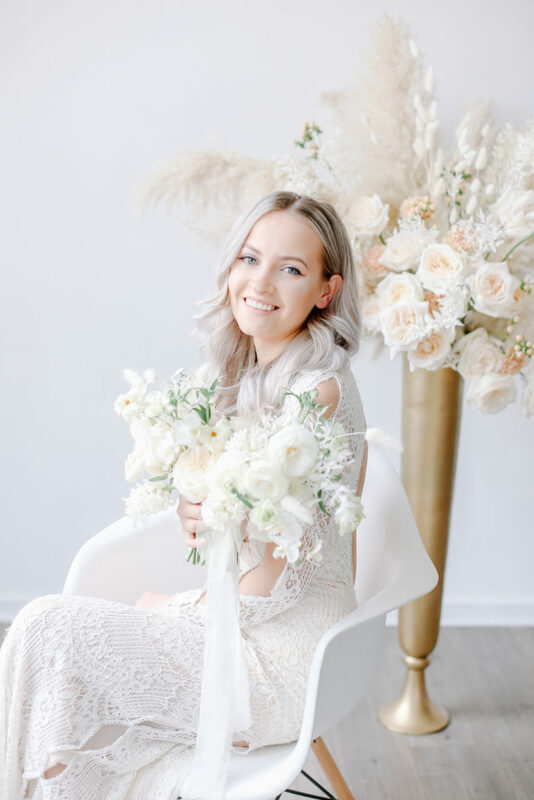 If you are interested in getting a free wedding dress from us during one of Brides Across America’s “Operation Wedding Gown” events, once the dates are announced, you must register on the Brides Across America website before attending. Location: Visit any location (Portland, Tacoma or Seattle) for your free wedding dress! During the giveaway, you will need to sign up on the Brides Across America site and pay the registration fee before you shop. Once you sign up, you don’t need to set up an appointment with Brides for a Cause, as we’re open 7 days a week on a walk-in basis. Just come by anytime during store hours during the specific dates in July or November to get your free wedding dress! Check our Locations page for individual store hours! We’re giving away free wedding dresses to brides who are on active duty, a veteran of the military within the past 5 years, a first responder – or is marrying someone who is. 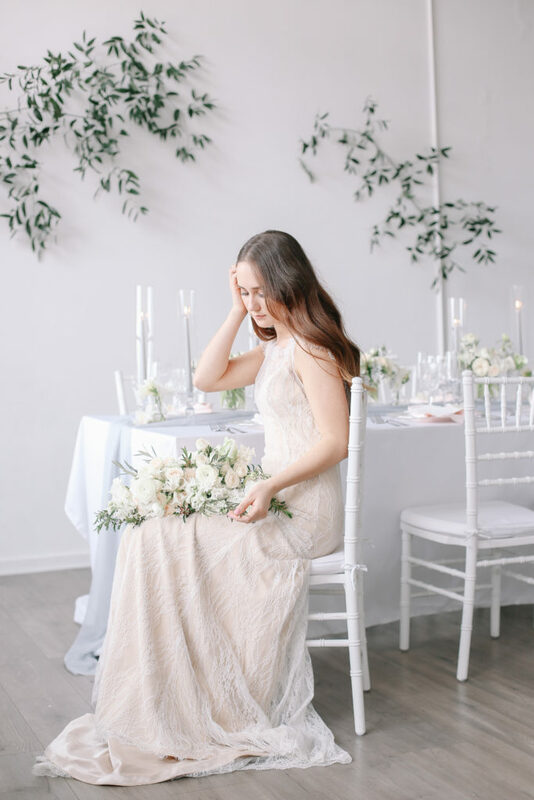 Are you engaged and planning a wedding within the next 18 months? Have you or your fiancé been on active military duty, or a veteran within the past 5 years? (We accept deployments as well as active service). Are a first responder bride? If so, you or your fiancé must be an activepolice officer, fire fighter, EMT, or Paramedic with a valid work ID or proof of service. 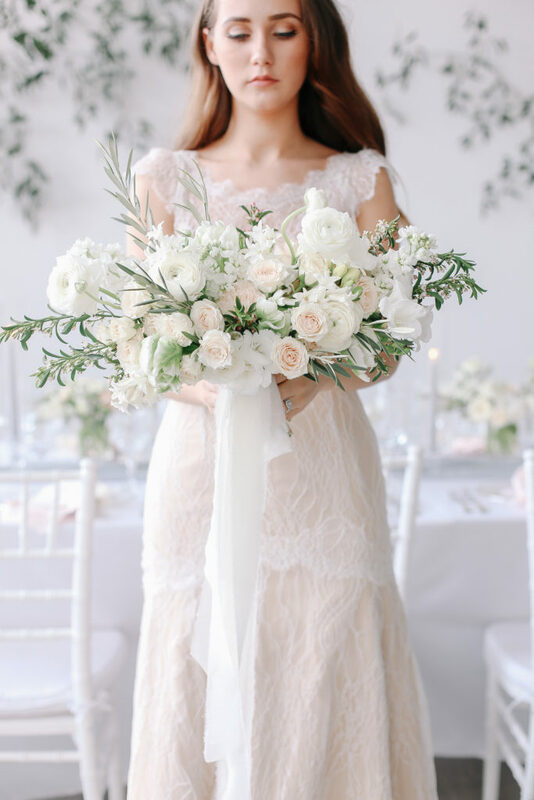 Have you had a civil ceremony and are now planning a formal wedding? If you answer ‘Yes’ to 1 or 4 above, and you also answer ‘Yes’ to criteria 2 or 3 above, you qualify. Can’t make the dates? We also offer year-round discounts to our military brides! Brides for a Cause offers a year-round 20% off discount to military brides! 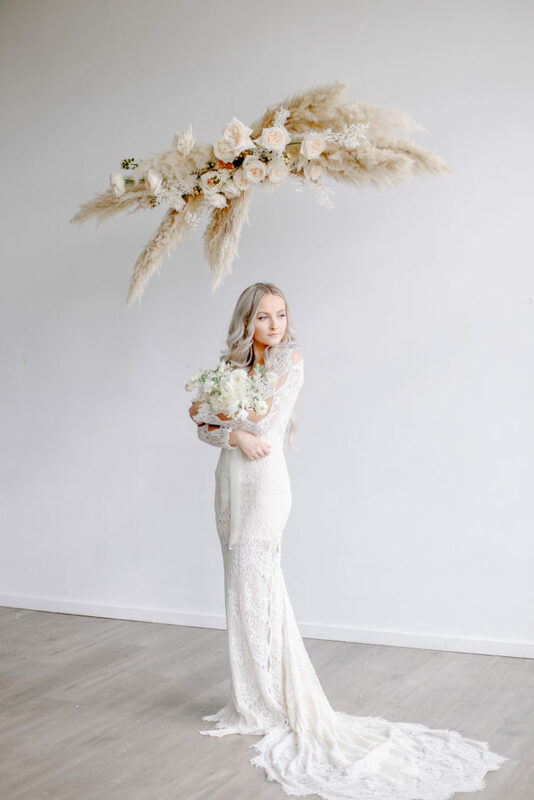 This Trish Lee wedding dress is available at our Portland boutique in a size 6! Email inquiries to sales@bridesforacause.com. Our Portland boutique is hiring weekend stylists! 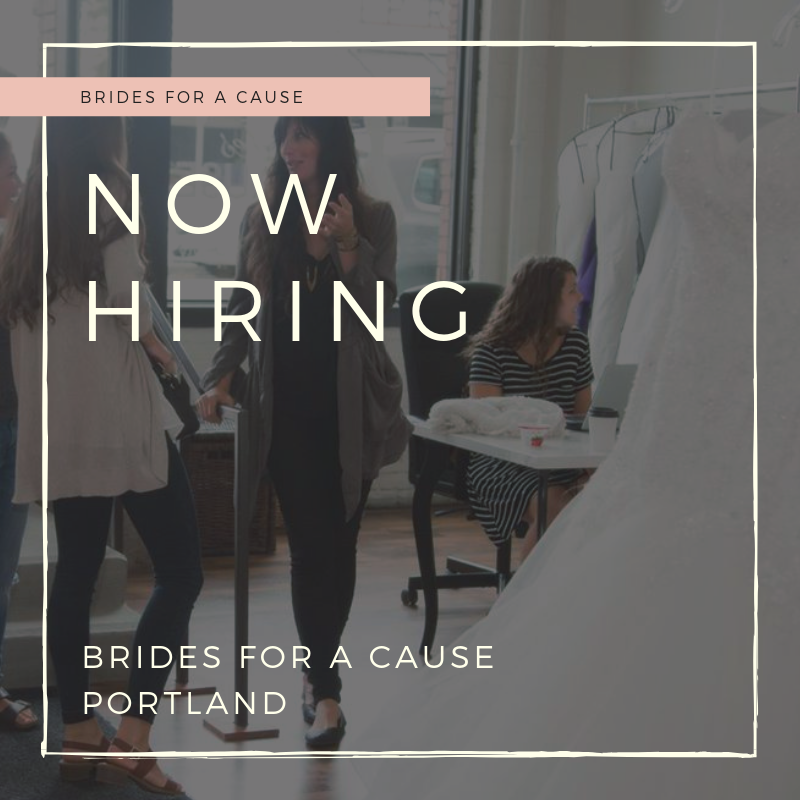 Please send your resume and a cover letter to jobs@bridesforacause.com!